Yes, this is indeed the ninth Miriodor studio album, coming three decades after their first and four years after the previous effort, Cobra Fakir. Signal 9 finds the band in the quartet arrangement that has lasted since just after Cobra Fakir: Pascal Globensky (keyboards), Rémi Leclerc (drums), Bernard Falaise (guitar), and Nicolas Lessard (bass). The addition of Lessard seems to have steered the band in a more energetic direction, with his rhythmic (sometimes almost funky) bass lines locking in with Leclerc’s drums and providing a groove to many tracks in spite of the shifting rhythmic structures and often crazy melodies that make up the pieces. There are sections where the band gets into a groove and rides it for a couple of minutes, and at other times they’ll throw out ideas rapid-fire, jumping from one to another like indecisive squirrels running from tree to tree. “Portrait-robot” is one of my favorite tracks, and exhibits the band’s strengths admirably. It starts with an insistent unison riff on bass and guitar while odd synth noises bounce around, then adds organ chords to gradually build up the intensity almost like a post-rock epic. By the time they’re two minutes in, they’re thrashing away with punkish abandon and there’s a wild synthesizer line wiggling around on top. Then it all comes to a crashing halt and we’re left with indistinct ambient noises, from which a Mellotron choir emerges amidst distorted analog synth noises. This leads into a section that could almost pass for Änglagård, with a heavy plodding beat and prominent Mellotron chords. Then there’s a quirky circus-like part with the sounds of a cheering crowd, followed by a faster tempo section that builds up again and features dissonant chords. It ends with a long fade to nothingness. In addition to longer tracks like “Portrait-robot,” there are a number of short vignettes, some collages of sounds, others more composed and performed. 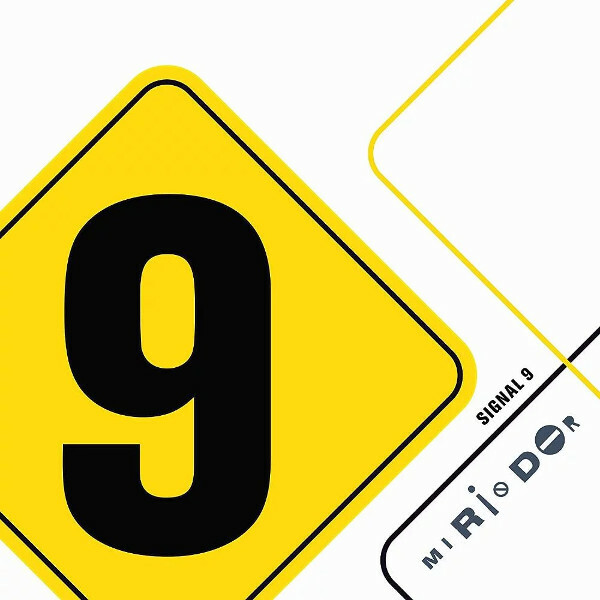 There are too many highlights to cover in a review — suffice it to say that Signal 9 stands comfortably among Miriodor’s best releases, and is a sure bet for the year’s best list.